Young people today are often seen as disaffected and indifferent towards politics and the political process. 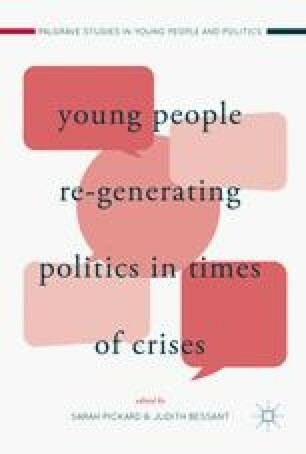 This chapter presents comparative evidence on young people’s political participation during the economic crisis based on survey data from across Europe collected in 2015 to analyse patterns of youth participation. Results presented show that while young people are less engaged than older citizens via conventional means, they are engaged in politics through more confrontational modes of unconventional politics and online activism. While the more confrontational modes of politics tend to only be practiced by small proportions of presumably committed young people, online ‘clicktivism’ is more widespread, so youth regeneration of politics is likely to come through social media and other forms of technological advances for the practice of political engagement.